With KFit, leading a healthy lifestyle has never been easier. 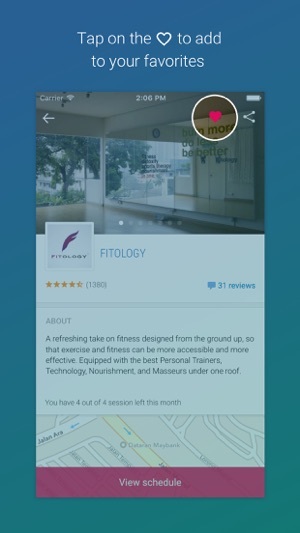 KFit is a platform that connects you to a wide variety of fitness and wellness activities in your city. 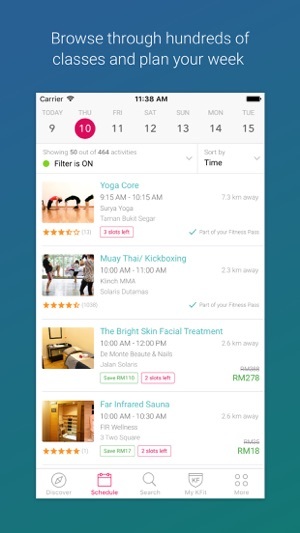 Currently available in Kuala Lumpur, Singapore, Hong Kong, and Manila, KFit empowers you to start your fitness journey and lead a more active lifestyle. Finding it hard to fit working out into your schedule? 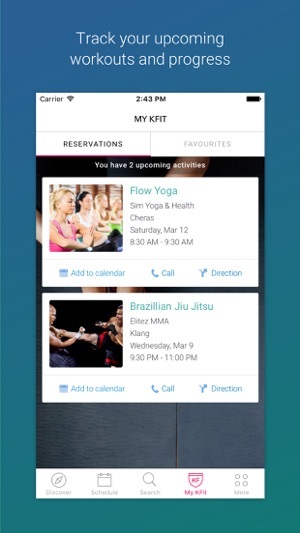 No fret - upon downloading the KFit app, you can discover and book classes according to your own schedule, allowing you to plan your day and week in advance. Mix up your fitness routine with activities such as yoga, pilates, boxing, muay thai, high intensity training or stay committed to your routine with gym sessions. If you are a fitness enthusiast looking for better value, get the KFit Fitness Pass. 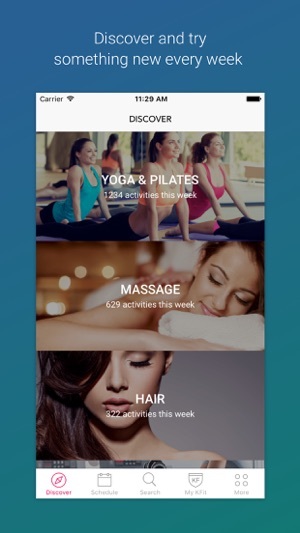 The Fitness Pass is a monthly subscription that gives you access to 10 fitness activities per month at a fixed affordable price. Each pass works out to be significantly less than regular studio walk-in rates, allowing you to enjoy flexibility and savings while trying new things. 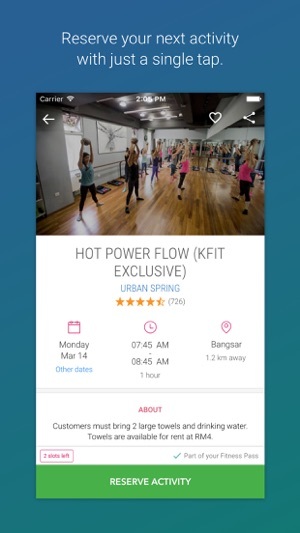 Download the KFit app now and start living the life you want. If KFit has enabled you to lead a healthier lifestyle, share the good news! Let us know by writing an app review. We appreciate your feedback. Easy to use when I start using it, simply book a class that I'm interested in and go. No commitment or any contract trouble like the true fitness case. But lately found that a lot of gym in the list are not offering class on this app. And also they didn't have the latest information about the studio which you might end up showing up at the class and found the studio was closed down. Also got cancels by 2 different studio after booking.